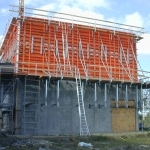 modular steel formwork for architectural and exposed concrete. 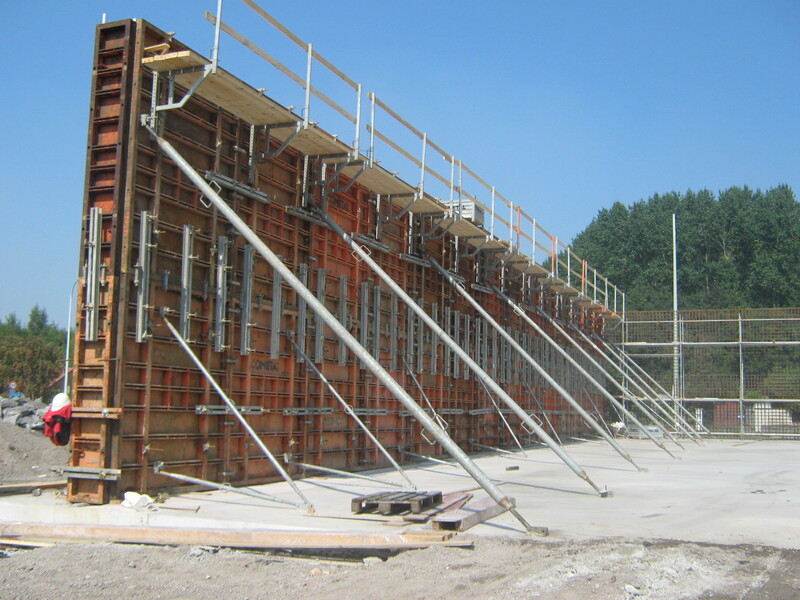 The BIMET wall formwork system was especially developed to meet the current exacting specifications on concrete constructions. 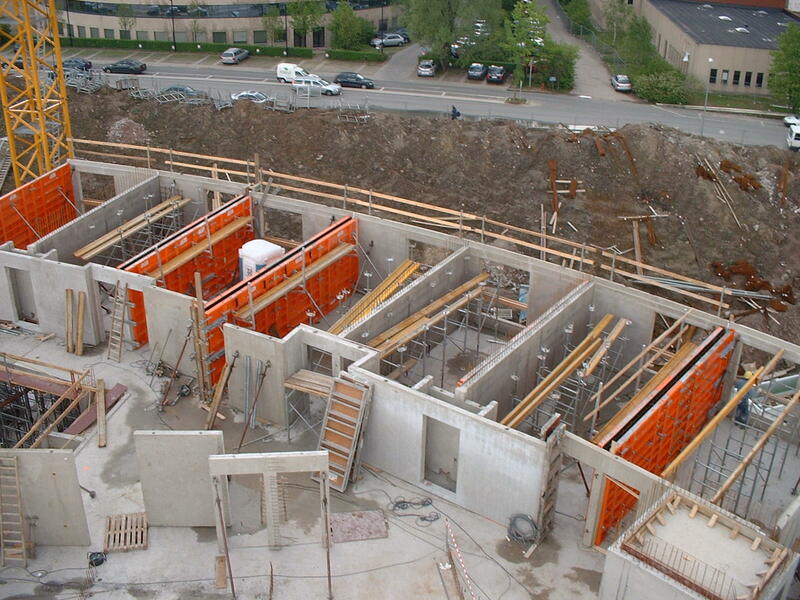 This new form of modular wall formwork is highly suited to apartment construction. 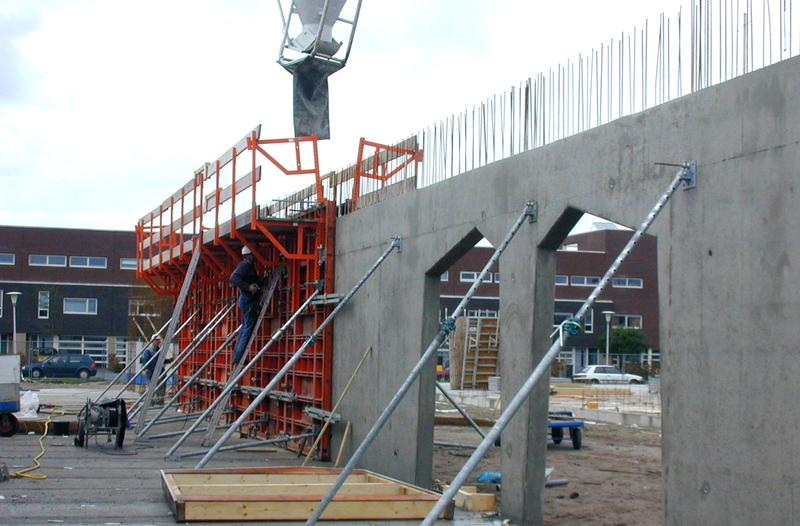 Thanks to the 2.75 m wall height the use of small top-pieces can be avoided. The fine panel seams guarantee walls ready for papering. 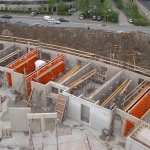 Also in civil construction more and more importance is paid to this aesthetic aspect; the formula offering a modular, flexible, strong and rigid wall in architectural concrete is unique in the sector. 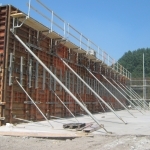 The use of a 5 mm thick steel plate as contact surface ensures that the outline of the formwork structure in the concrete surface is reduced to a minimum. 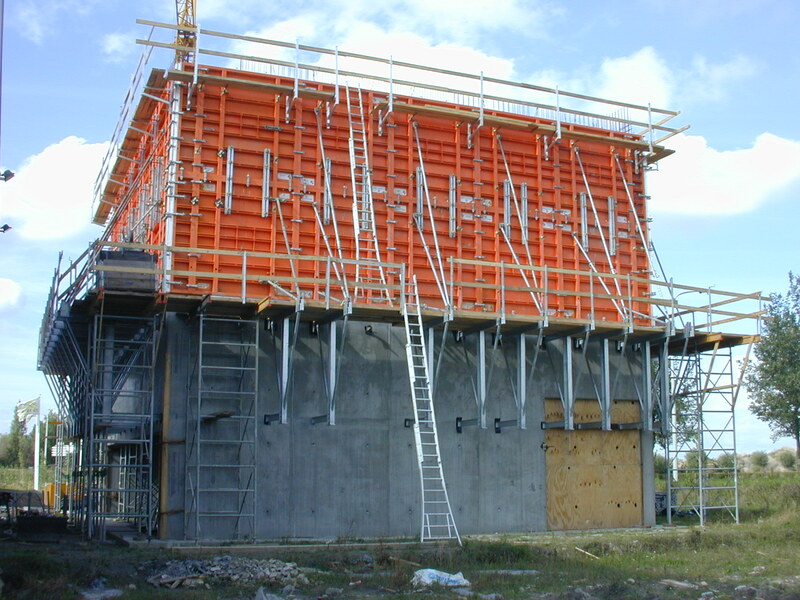 Correct use of the BIMET formwork results in an austere design without any local irregularities or defects. 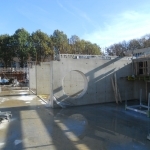 With the standard Cometal profile it’s possible to connect the BIMET formwork with the all our other formwork systems. 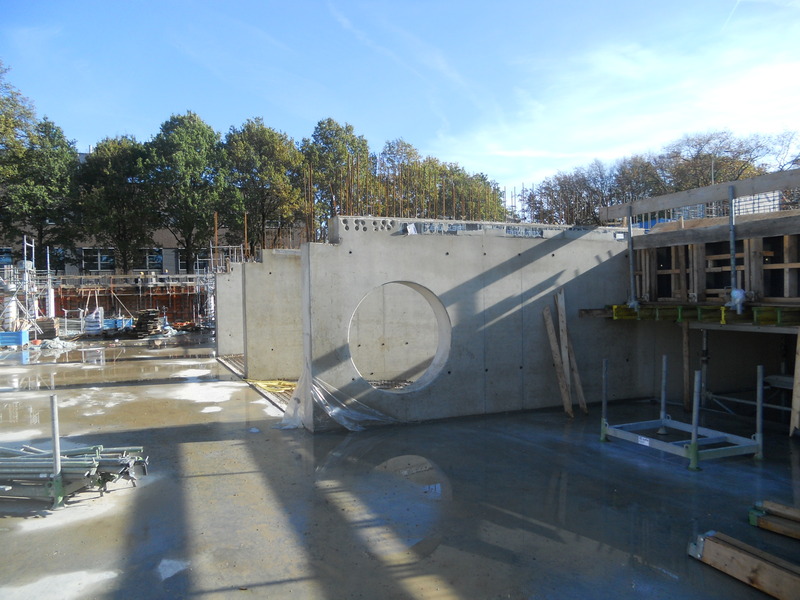 At the design stage one of the starting points was the compliance with the strict NEN 6722 regarding the surface assessment of concrete. 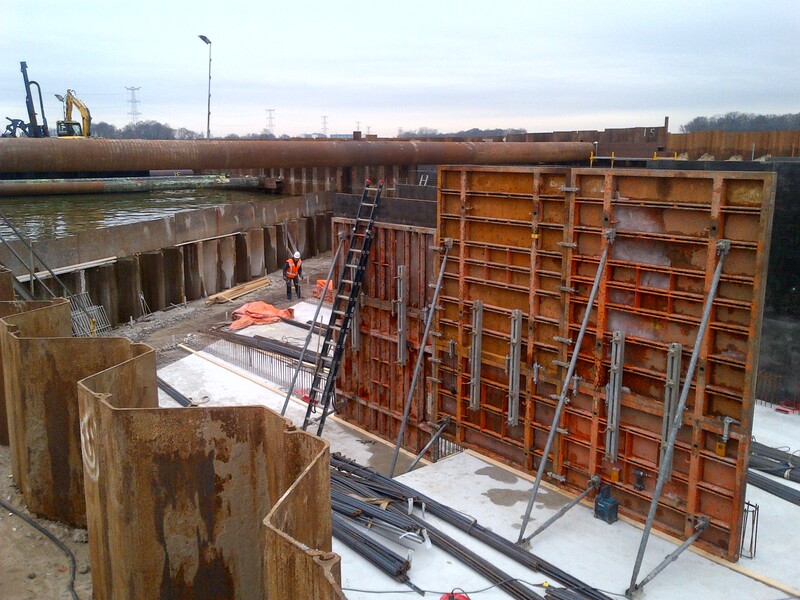 The most stringent surface assessment classification is easily achieved even with concrete pressures of 80N/m². 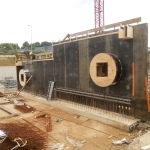 The use of binding stays with a minor diameter of 20 mm and a service pressure of 140 kN allows us to use the formwork for the concreting of constructions under concrete pressures of up to 100 kN/m². 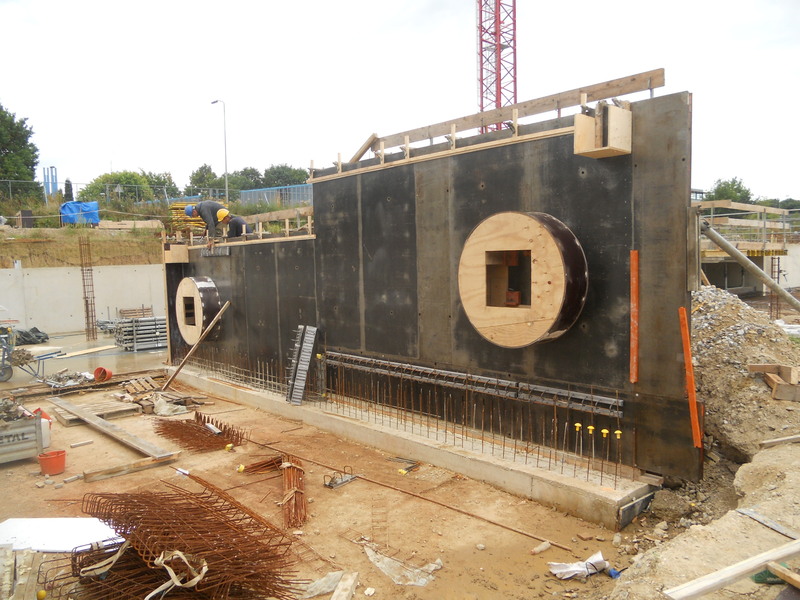 Therefore the BIMET formwork allows the contractors to push out the frontiers under controlled circumstances. 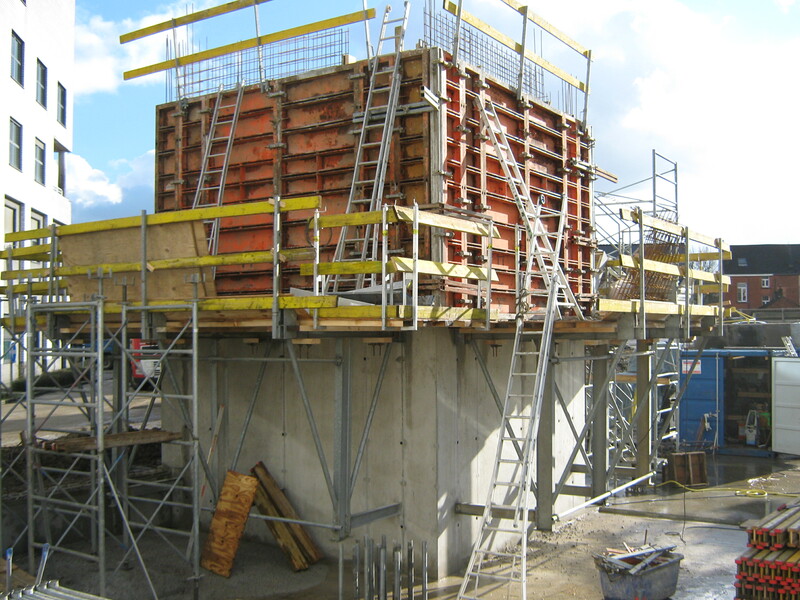 Self-sealing and self-levelling concrete can be used at a great height. 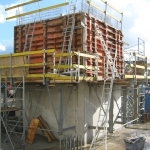 More info about BIMET formwork? Contact-us or your technical advisor. 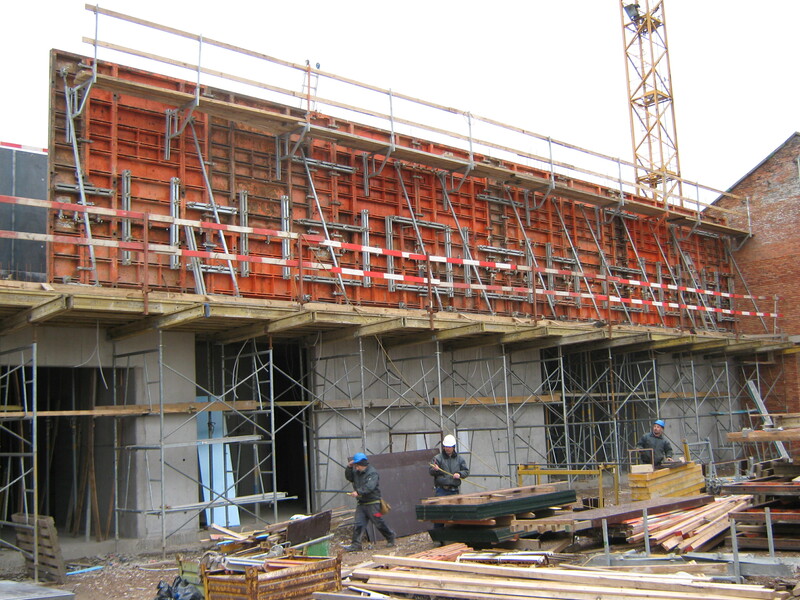 On the Viaductstraat in Sint-Truiden, Orelia is building Serrenhof, a residential care campus that will replace the current residential care centres, La Madrugada and Laurentius. This new construction, which comprises a residential care centre and certified service flats, will provide homes to more than 100 residents by the end of 2019.